The leadership at Support Warrior Project is driven by a common goal, to deliver long term, sustainable entrepreneurial development services to the U.S. Armed Forces and the veterans community we serve with the unique combination of purpose, passion, professionalism, and determination to our business partners and to our teams. As CEO, Sauveur Blanchard oversees the strategic direction and growth of Support Warrior Project. 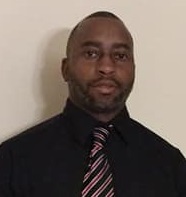 He's passionate about providing entrepreneurial development services to the Military community (transitioning service members, Veterans, Service-Disabled Veterans, Reservists, National Guard, Active Members and Military spouses of all branches) with the entrepreneurial resources needed to be successful business owner. Sauveur currently serves in the US Army. He has held the leadership positions of Platoon Sergeant, Section Chief, Senior Drill Sergeant, and Team Leaders; He deployed in support to protect our freedoms as part of Operation Joint Guardian (KFOR), Operation New Dawn, Operation Enduring Freedom, and Operation Iraqi Freedom. Sauveur extremely love what he does, helping his fellow's brothers and sisters getting what they want. He knows that veterans need tremendous help when it comes to continuing their service, but what he's also finding out is that they're looking for new ways to make more money. With Support Warrior Project, he can now help them begin a new journey, a journey that will never stop paying them, and a journey that they are in control of, entrepreneurship. As executive director, Kevin and his team are responsible for purposeful outreach and relationship building with key influencers that advocate for the military families. Prior to Support Warrior Project, Kevin served 21 years in the United States Army before retiring this February of 2018 as the Brigade S4 and Property Administrator for the 412th Contracting Support Brigade, Fort Sam Houston at Joint Base San Antonio, Texas. Kevin has worked tirelessly to expand the reach and influence of these brand, within the military community and government agencies. Kevin's operational deployments include two tours in support of Operation Enduring Freedom (OEF), one tours in support of Operation Iraqi Freedom (OIF) and one tour in support of Operation Joint Forge Bosnia-Herzegovina. SFC Carter has served as a Property Administrator/ Brigade S4, First Sergeant, Senior Drill Sergeant, Operations NCO, Supply Sergeant, Support Operations Supervisor, Senior Supply Sergeant, Squad Leader, Armorer, NBC Sergeant and Battalion S4 Clerk. Timathy Bevis leads the management of the Office of the Chief Executive Officer and oversees strategic communications with Support Warrior Project Board of Directors. The purpose of such precise leadership performance models for the United States Military is to be extraordinarily clear on the high levels of leadership performance and job performance that is expected of military leaders of all ranks, military professions, and different branches of service. The Support Warriors 'National Military Business Development Program (NMBDP)” provides entrepreneurial development services, such as education, to include business structures, funding plan development for members of the military community, including officers, soldiers, dependents, and Veterans who would like to launch and grow a business as a post military career. We believe our Leaders has a small business dream inside, but most are afraid to start. We demystify ownership and make it easier to launch and run their small business. Support Warrior Project is a “Servant Leadership” Planning-Preparing-and-Executing-Your-Own-Business-At-Day-One Platform built specifically for Military and the Veteran communities to teach, empower, organize, and manage all their business services in one place. We streamline hundreds of competing business service brands in a single online dashboard to nurture their unparalleled drive, perseverance, and support the achievement of their dreams. Support Warrior Project Founder and CEO Sauveur Blanchard is an Active duty member of the United States Army providing an independent program on barriers affecting military entrepreneurs and veteran-owned small business from all segment of American society.